You would think the outside competition for Stuart FL foreclosure bargains might have up and disappeared by now…but no! As The Wall Street Journal described it the other week, the shrinking number of foreclosure opportunities hasn’t driven Wall Street’s professional investors completely out of the market. But new techniques are altering their approach. Local Stuart FL foreclosure investors have had to worry about a previous incursion by big national private equity investment firms. In the aftermath of the real estate bust, sales of distressed properties assumed an ever-larger proportion of real estate activity. National firms seized on the growing supply of cheap foreclosed homes as a ‘sure-thing’ trade for investment firms backed by money from private equity companies who wanted ‘in’ on real estate. Wall Street knew full well that depressed real estate prices were a temporary phenomenon. They would swoop down, buy foreclosures en masse, rent them out, and wait for the bounce-back. 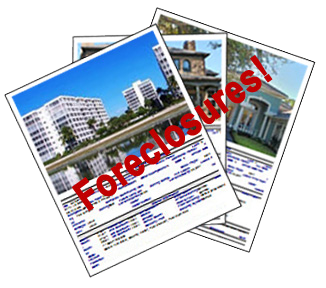 Your Stuart FL foreclosure investors suddenly had to worry about bargain-hunting by the national firms, instead of just the usual local competitors. It took agility and cash to compete with some very deep pockets. Even where they weren’t active, their impact was felt. So could Stuart FL foreclosure investors breathe a sigh of relief, knowing the big boys had carted off their wheel barrows full of cash? You’d think so, but not so fast! The WSJ article describes a new phenomenon from outside. “Racing to Buy Homes Sight Unseen” was the headline. Enter the speed-based investors! Just as trading firms had developed systems that made equity trading a competition between banks of computers trip-wired to trade at the speed of light, a milder phenomenon is emerging in foreclosure investing. According to the Journal, one example is the investment trust executive who no longer goes to public auctions to find buys. It described a recent morning in which it took him seven minutes to bid on a Georgia home “he had never seen.” He uses a quantitative data analysis program as a way to accelerate searches for the “dwindling supply of available homes that can be transformed into rental properties.” In other words, some of the big buyers are finding ways to stay in the market. But Stuart FL foreclosure investors don’t really need to throw up their hands. Although the data analysis programs are getting better, local knowledge and on-site evaluations should continue to give sharp Stuart FL investors the kind of fine edge that national data maps and renovation cost generalizations can never quite match. It’s like the difference between a perfectly-engineered robotic customer service system…and a knowledgeable human: no contest. Stuart FL foreclosures may be less omnipresent, but without question they continue to represent great investment potential—and not just for the national investment firms. If you’ve ever thought you would like to hear more about today’s opportunities, call me for an on-the-ground analysis! Will Stuart FL Real Estate Reflect Trend to Downsizer Nation? You would think that smaller homes would be skyrocketing in popularity right about now. Statistics show that the average number of people in American households is shrinking. Practicality would seem to dictate that a trend toward downsizing should be underway, with significant implications for Florida real estate. It’s no exaggeration to say that for as long as many Americans can remember, bigger has always been better. In terms of sheer floor space, the average American home increased from 1,900 square feet in 1993 to 2,400 two decades later. The reasons may have been both practical and psychological: for those who grew up in cramped quarters, space was the missing element—so elbow room and privacy became the essence of a desirable home. This was evident in our recent Stuart FL real estate ads, where spaciousness was emphasized wherever possible, from the photographs to listing copy. The reality of the time, energy, and money that goes into maintaining a 5-bedroom home with multiple levels can begin to trump its “EREF” (Elbow Room Enjoyment Factor). There’s the cleaning, keeping interiors and furniture fresh, maintaining windows, furnaces, fans. Then there are the outdoor areas to consider. Mowing, raking, shoveling…for some, the enjoyment of that part of the outdoors can gradually generate more tedium than enjoyment. It can push some residents into new appreciation for a Stuart FL real estate solution that simply requires less to do. Whether your family is expanding—or beginning to seriously contemplate the reverse—I hope you will give me a call. I’ll be able to show you many appealing properties from the current crop of Stuart FL real estate offerings! Owning a Stuart rental property owes its popularity to the distinctive financial attributes it offers investors. Like a dividend-producing stock, it’s a holding that stands to produce a regular income stream. It’s also a real asset in the truest sense of the word—one with solid collateral value. For adroit Stuart rental property investors, it’s also an asset that can build value over time. When it comes to quantifying a Stuart rental property’s income-producing potential, after an investor has estimated the projected rental stream, there follows a less sunny exercise: expenses need to be taken into account. If a Stuart professional management service is going to be part of the equation, they will supply reliable budget parameters. If you will be managing the property yourself, doing a thorough job of nailing down this—the management budget—is as crucial to coming up an accurate bottom line as was projecting income. Unless you are prepared to be at the beck and call of your renters 24/7, it’s a good idea to budget funds for a skilled general maintenance person. The ideal candidate can deal with a myriad of issues, from electricity outages to clogged garbage disposals. If the Stuart rental property is an apartment building or set of condos, it’s often a good idea for the maintenance pro to be kept on retainer. For single-property rentals, this handyman (or gal) can usually be hired on a job-by-job basis. Specifics for every Stuart property differ, but it’s generally considered prudent to reserve between 10%-15% of gross rental income for maintenance and repairs. This part of your budget includes remuneration for your maintenance person. Getting a rental home back to status quo isn’t always easy—especially because it’s in both the landlord’s and renters’ interest to place a premium on speedy rehabilitation. That’s not cheap! 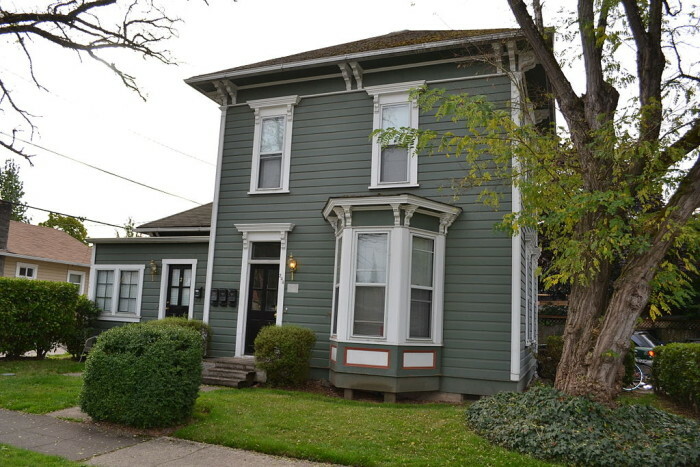 This is the traditional time of year when many of the most promising investment properties go on the market. If you are looking to the future—a future that includes owning a lucrative Stuart rental property—now is the time to start looking…and to give me a call! When you find yourself poised on the brink of any new real estate venture, there’s no more important initial step than seeking out a great Stuart Realtor® to round out your team. Without even thinking about it, everyone automatically knows that they want a real estate professional with the technical experience, communication skills, and local knowledge that such serious business requires. It also won’t hurt if your Realtor has bottomless reserves of energy and a positive attitude to match—as well as the sympathetic human traits that makes them a pleasure to work with. There are lots of conventional channels that make it easy to identify perfectly well-qualified Stuart FL Realtors (and we are lucky to have many talented ones here in the area)—but when you’re looking for the one who will sync with you and your ultimate goals, that level of rapport will most likely take an extra proactive step or two to secure. This is a good way to see us at work. Whether you are buying a home on Florida’s Treasure coast or selling your own, dropping in unexpectedly will allow you to listen to what they say and how they interact with prospects. Don’t hesitate to be upfront about your own situation: a great Realtor will be able to help other potential buyers and deal with you without missing a beat! You can also start conversations with us on social media to gauge how long it takes us to respond, whether or not we can give you detailed answers, and to see how we engage with other members of the public. This is a good way to tell if we use social media skillfully, building our brand while clearly valuing the people who interact with us. The opinions of contractors, mortgage brokers and repair people can be valuable, too. Professional people have an insider’s view of Stuart Realtors who work hard to get the job done efficiently. Of course, fine-tuning your choice should include doing the conventional legwork, too. 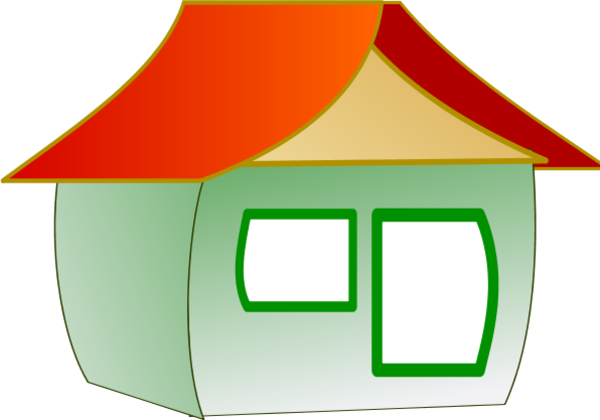 Look at our listings, ask us about our track record, read our reviews, and where we live. The rest is up to you. Needless to say, I hope we make the final cut! It may not be the first factor you look at when you begin planning to buy a Stuart FL house, but unless you are in the rare position of being able to make an all-cash purchase, sooner or later your credit score will become a prominent factor. That’s why this month’s get-together in Washington held some information that could ultimately become pretty important for both Martin County home buyers and sellers. The meeting was held at the National Association of Realtors headquarters, with participants that included HUD Secretary Julian Castro, credit score industry representatives from FICO and Vantage Score, and other experts in research, government, and real estate. This might seem to be the kind of gathering (“Symposium,” in this case) that is usually more productive of eyes glazing over than much else, but for Martin County home buyers and sellers, this one was different. 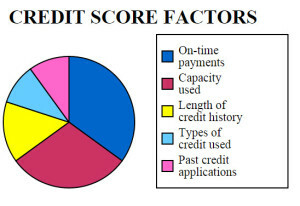 The subject was “Credit Access”—how companies determine the credit scores that guide lenders’ decisions on who will and won’t be offered home loans. 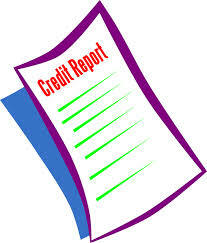 The consensus was (and is) that current credit score formulas could stand some improvement. Secretary Castro’s Keynote set the table. He said that there is a recognized need to find new ways to construct credit scores that are more sensitive to “getting at” the bottom line responsibility potential borrowers have shown in their lives; credit scores that will predict how they will pay down their mortgages. “There’s been a disconnect there,” he said. Given that this is the single reason that credit scores exist at all, that seems like quite a statement to make, particularly with the credit scoring companies right there in the room. No eye-glazing going on, I suspect. A representative from Moody’s Analytics pointed out that most conventional loans are currently made to borrowers with credit scores about 740—which is 20 points higher than was the case during the housing boom. In today’s tougher economy, that makes it likely that some Stuart FL buyer’s credit scores would benefit if HUD is able to follow through on its efforts “to improve credit access to Americans” without adding to lender risk. It’s in everyone’s interest that credit ratings be accurate predictors of repayment patterns. With interest rates continuing to be at bargain basement levels, it couldn’t be more important, because it also continues to be a fantastic time to be in Martin County’s real estate market—and to give me a call!